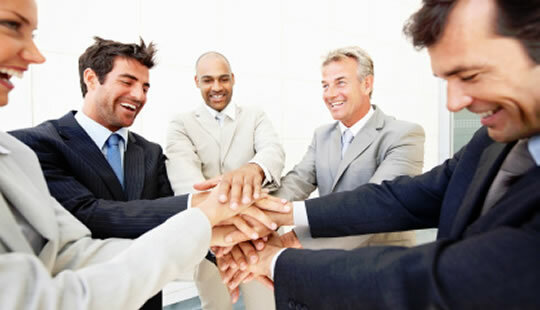 Does teamwork always enhance the performance of organisations? It might seem like a question that’s too obvious to ask. Practically every job description ever written demands ‘a good team player’. Teams of all kinds pop up everywhere in organisations and the assumption is that they enhance organisational performance. In fact the evidence for the supposedly stupendous power of teams is pretty weak. Hundreds of studies have been carried out examining people’s performance in groups. High performing groups are not normal, instead groups often have huge variations in ability from top to bottom. People in groups often waste time squabbling over goals. Groups frequently suffer downward performance spirals. The message from the research is clear: the benefits of teamwork are nowhere near as clear as the fashion would suggest. Worse, sometimes the arbitrary implementation of teams reduces organisational performance. The classic example is group brainstorming which just doesn’t work (see my article on brainstorming). Obviously sometimes people do work together much better in teams. Some jobs are like team sports, they need close co-ordination between people to achieve their goals. But many, many jobs don’t have these characteristics. Academics and call-centre workers don’t need to be in teams or groups, neither do sales, HR or many other standard corporate departments. Indeed many people belong to multiple teams, many of which may have very little meaning for them. And when there’s little meaning, there’s little effort (see: social loafing). So is teamwork just a management fad or is there a deeper psychological function? Allen and Hecht do point out that teams can be psychological beneficial. The research suggests that people draw both confidence and satisfaction from being in a team, even if it doesn’t boost performance much. But they also caution that not everyone responds well to teams and their benefits have been overinflated.